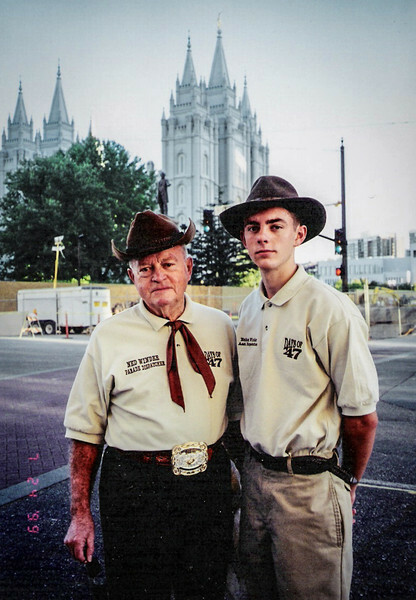 Here is little 17-year-old Nathan with Grandpa Winder in 1999 at the Days of '47 Parade, celebrating the 19th Century Mormon Pioneers. Some of my own ancestors were among those pioneers and so Salt Lake is the home of much of my family and it's the place where I grew up. It's good to have roots, but like those old pioneers, sometimes there are vines that must creep over the wall and that is what I try to do. Mom was from Seattle and so we went up there nearly every year as kids to visit grandparents and cousins. 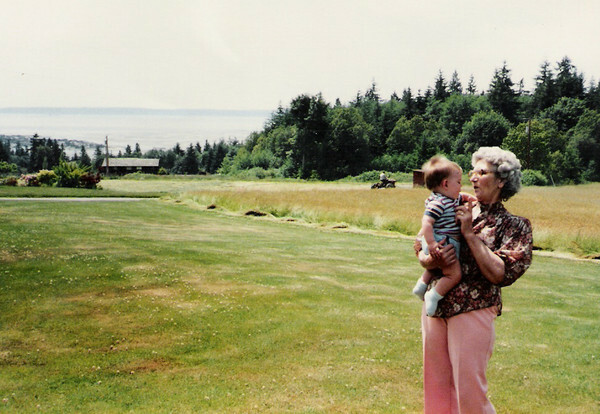 That's me and Great-Grandma Hellman on the farm on Whidbey Island. Though I love the mountains of Utah, I also love the sea. Standing at the edge of the ocean with the pure breeze and the vast horizon is to see the world as a field of endless possibilities. 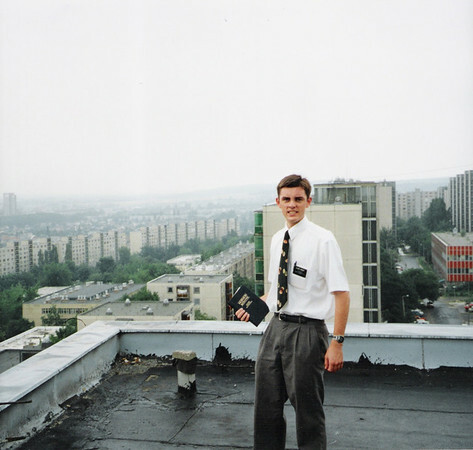 When I was 19 I had the opportunity to serve for two years as a Mormon missionary in Hungary. 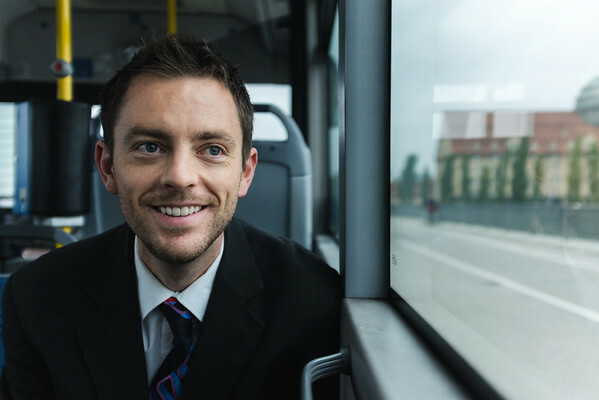 I was excited when I got the call to serve but I had no idea just how difficult it would be to learn the language, talk to strangers on the street and in their homes about religion, and to live away from many of the comforts of home. But despite the difficulties, I learned a great deal about myself, about faith and God, and about people. I also developed a deep love for the Hungarians, their country, their language, and of course, their food. Some of my greatest memories took place in Hungary and I would guess that not a day goes by that I don't think about it in some way. 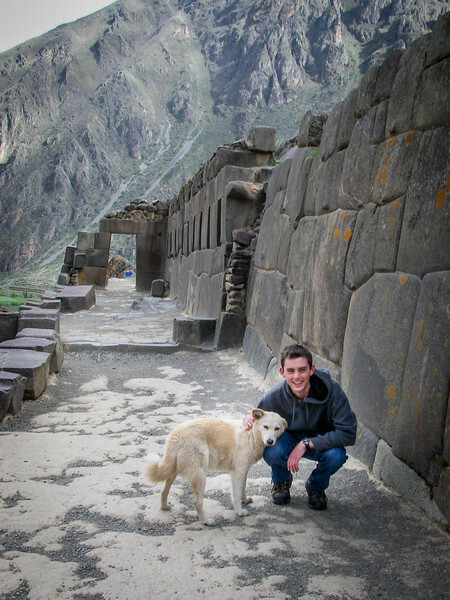 I lived in Cusco, Peru for several months in 2006/2007. I studied English teaching and got started learning Spanish. This is where I did my first backpacker traveling. And after a few weeks of traveling with my cousin and a friend, I set off on my own, traveling solo for the first time. It's great traveling with other people, but there is something thrilling and liberating about being a stranger among strangers in a new place. In some ways, my photography is my proof that I have been where I have been. It's not enough for me to see it myself, I feel compelled to share it and that's why I am grateful for digital cameras and the internet. I'm a huge classical music fan, and so Vienna, with its music history and collection of resident composers, is an exciting place for me. Just as photography is way for me to share what I see, music is a way for me to share what I feel. I enjoy playing the piano, I'll sing in a choir if I can, and I even try to compose. 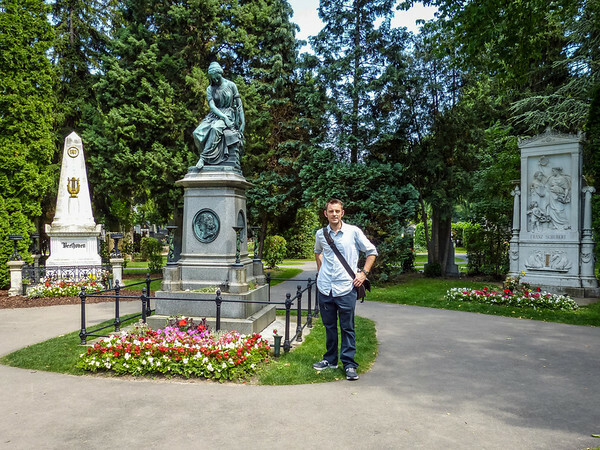 Here I am at the graves of some of the greats: Beethoven, Schubert, and a monument to Mozart. There are many reasons to love Paris but for this list I chose it for the food. I love good food and I love to cook. In fact, I think that cooking is the most endearing form of artistic expression. It's also the second most delicious (after clay sculpting). 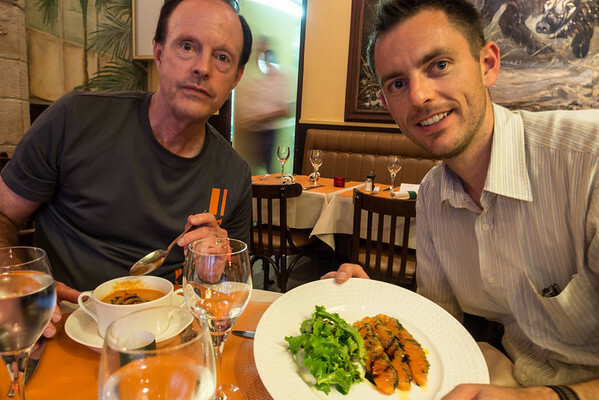 Here are Dad and me in 2013 with some very tasty French food. I always make sure I get a good taste of the local cuisine when I travel and it's hard to beat Paris. I was at a wonderful buffet with food of all kinds piled high. The main attraction, however, was the desserts. There were sweets and goodies of every kind, expertly crafted, beautiful to behold, and most delicious to the taste. My plate was quite full with the healthy stuff and so I just grabbed a couple of plain brownies with the intention of returning to the buffet for more dessert later. But when I came back, the desserts were all gone! I had missed my chance! 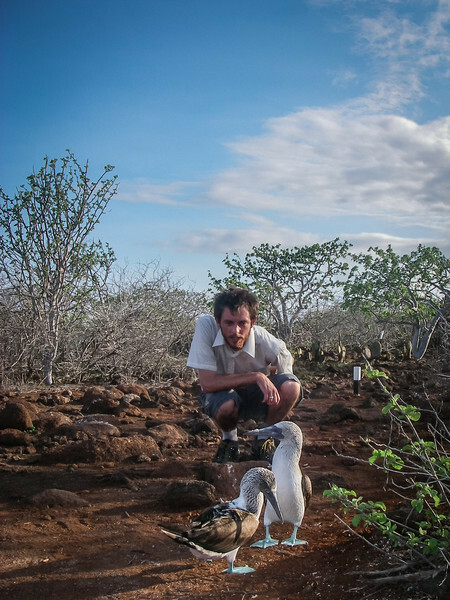 The next morning I decided to book my trip to the Galapagos. I'm glad I did. I learned that when making decisions, it's important to be sensible, but it is also wise to take advantage of the treasures that might lie along the path. You might not pass that way again. This is the landscape that, for me, feels most like home. I love the simplicity and the raw beauty of Southern Utah and its neighbors. It's a land of contradictions: it seems lifeless but when you look closer you see that even the ground is covered by living lichen. 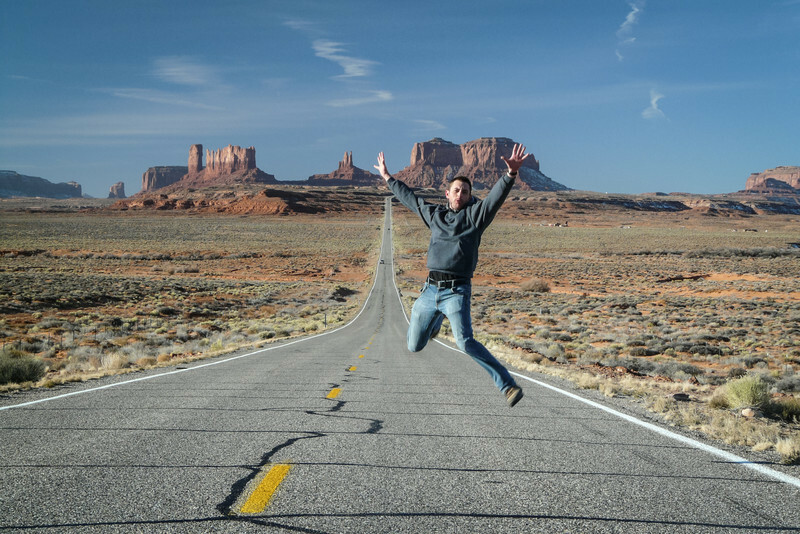 It can be flat and plain for miles after miles and then suddenly a canyon or a cliff will break the monotony with fascinating forms in the rock. There is danger in not having enough water and then again when too much of it is coming down in one place. I appreciate contradictions because I see them in myself. In one moment I can be pleased with myself and the things I've accomplished, and then in the next moment self-critical of all my weaknesses and foibles (and there are plenty!) But like the desert, sometimes you just need a different perspective or a little patience to discover something worthwhile, whether in yourself or in others. 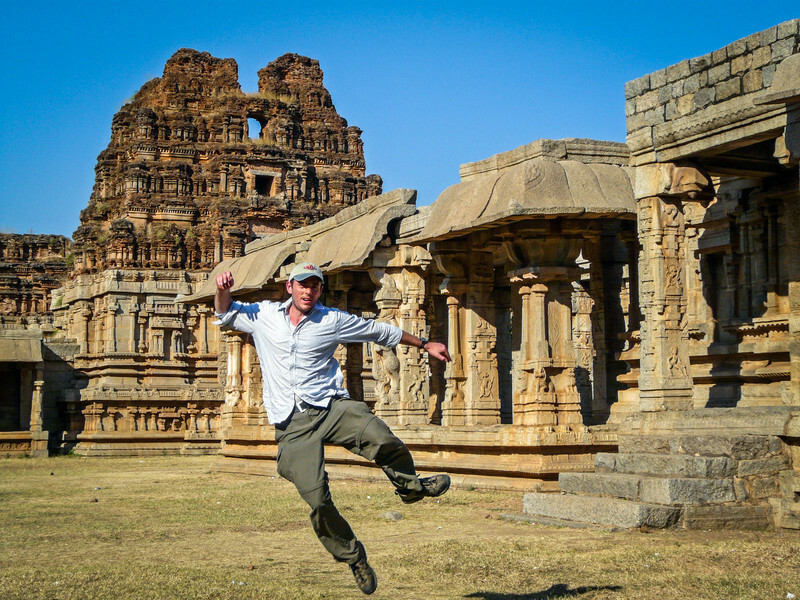 India is the reason why I travel: it is exotic, historical, enlightening, delicious, fascinating, and disarmingly friendly. I explore because I want to find those things that are different from what I'm familiar with and for this, India is rich. Each of these encounters with the new and the unfamiliar add to my own experience and personality, thereby enriching me. I love the fact that a paneer masala is now as much of a comfort food as turkey and stuffing, or sauerkraut and bratwursts, or a Hungarian pörkölt (probably not the Peruvian roast guinea-pig, though). I only had nine weeks to get a taste of India but I will certainly return someday. You remember Great-Grandma Hellman from eight pictures ago? Both her parents were born in Berlin, which makes me 12.5% German. For that and other reasons, I came to Munich in 2008 with the intention to stay for just a year or two. It has now been over ten years and I have grown fond of this part of the world. 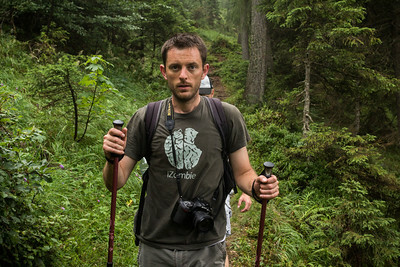 I teach Business English, I jog in the old palace gardens, I hike in the Alps, I sometimes visit my relatives in northern Germany, I serve as a youth leader in the church, I cook, I do music, I visit friends, and of course, I travel when I can.